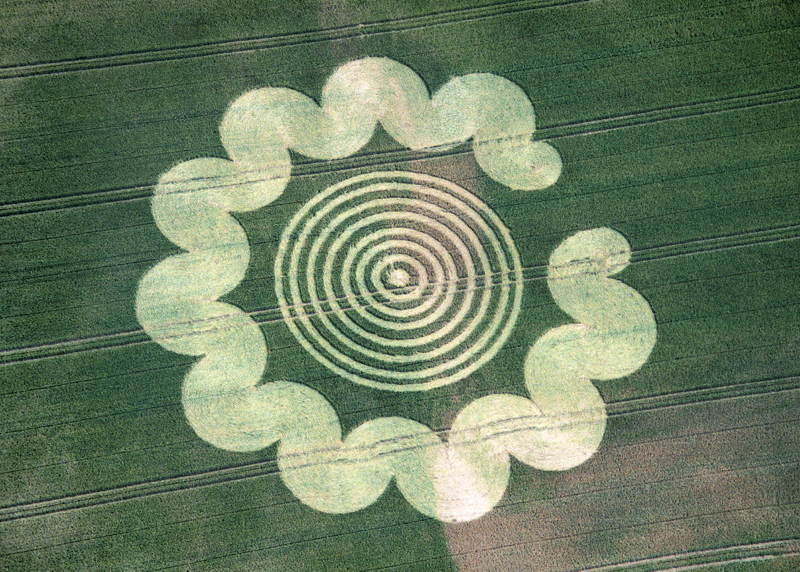 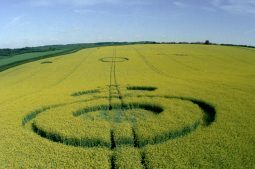 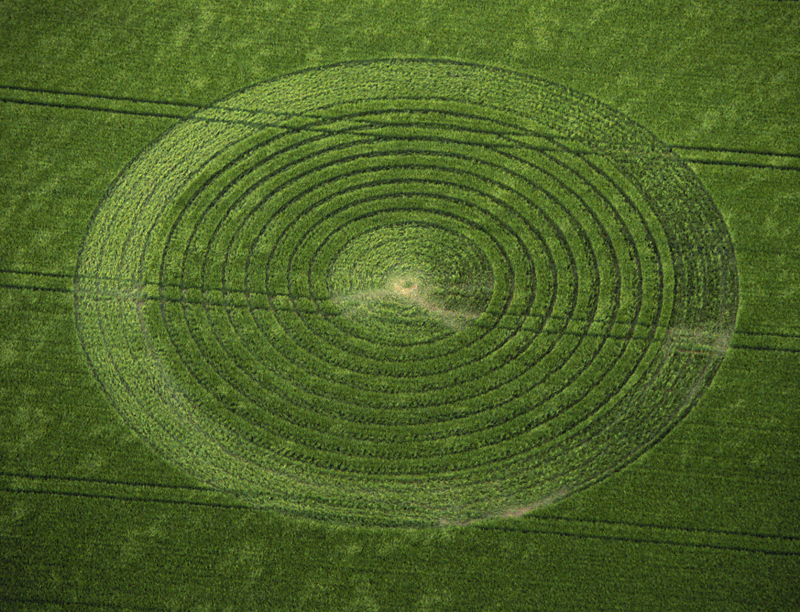 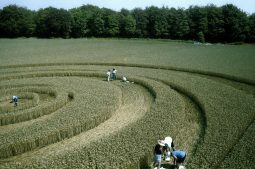 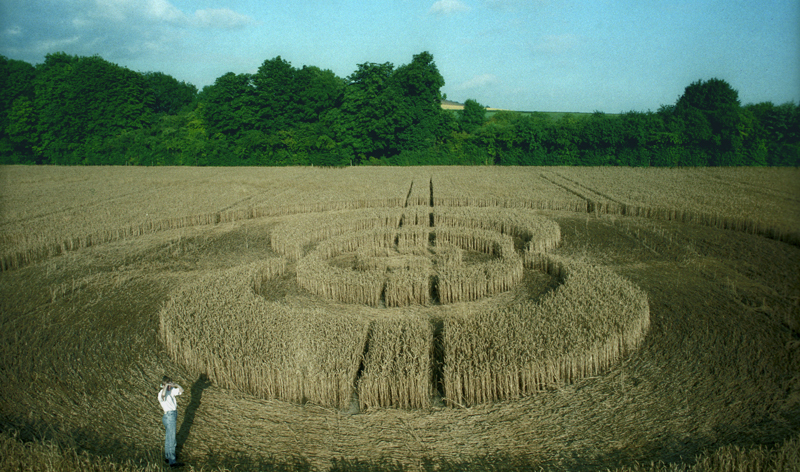 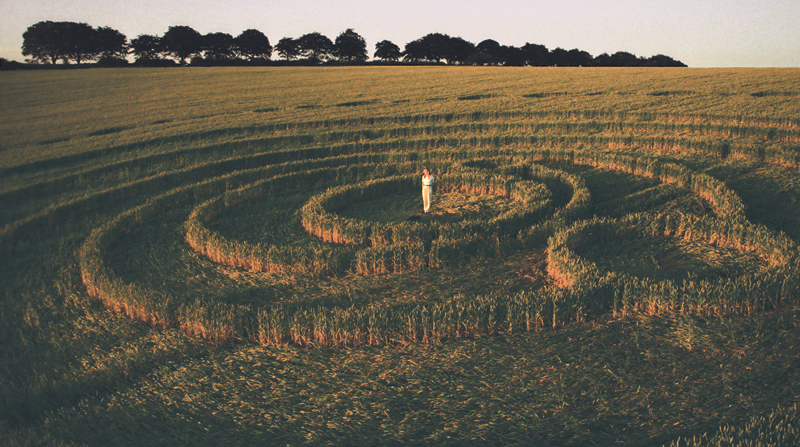 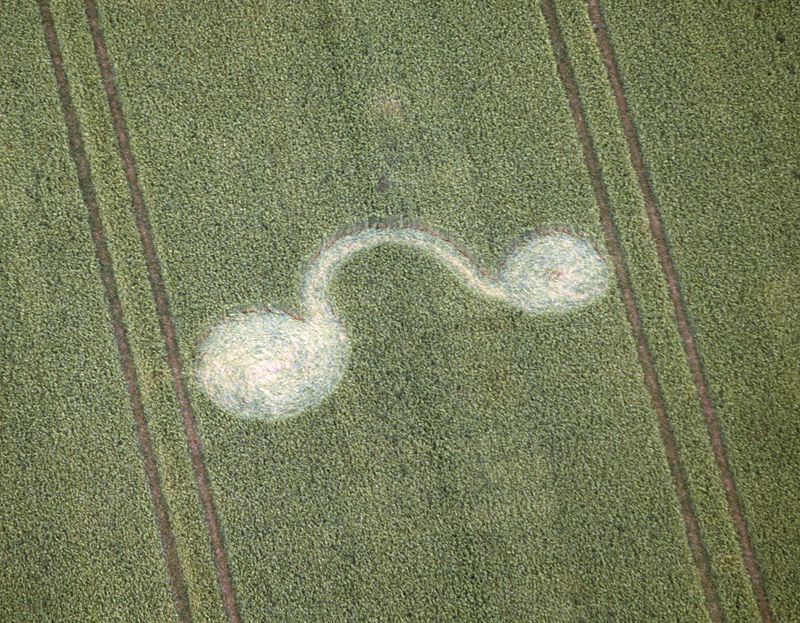 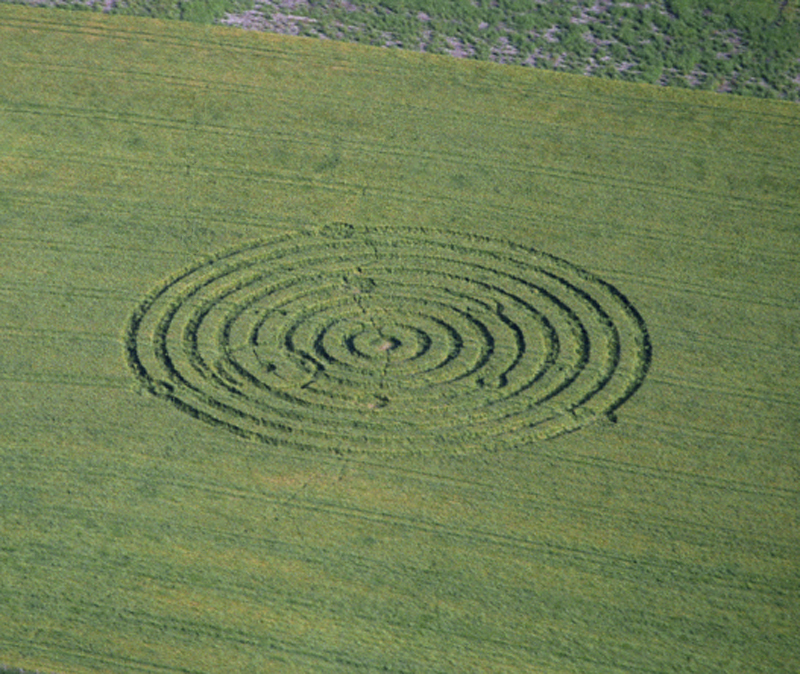 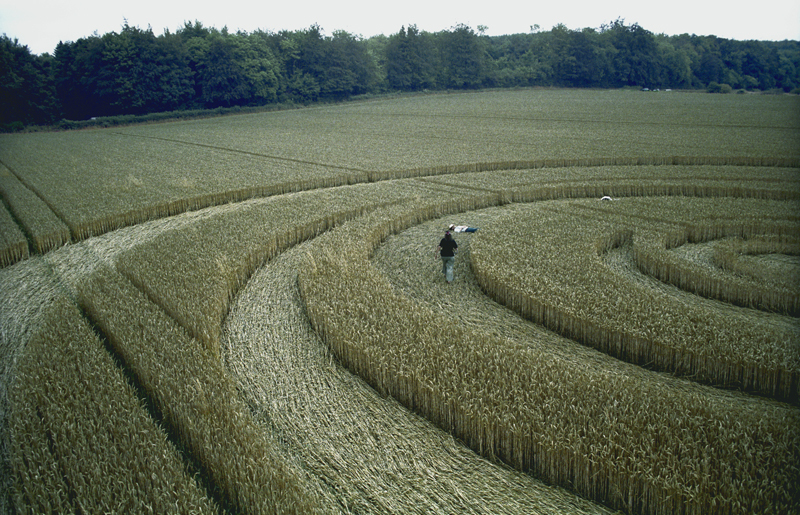 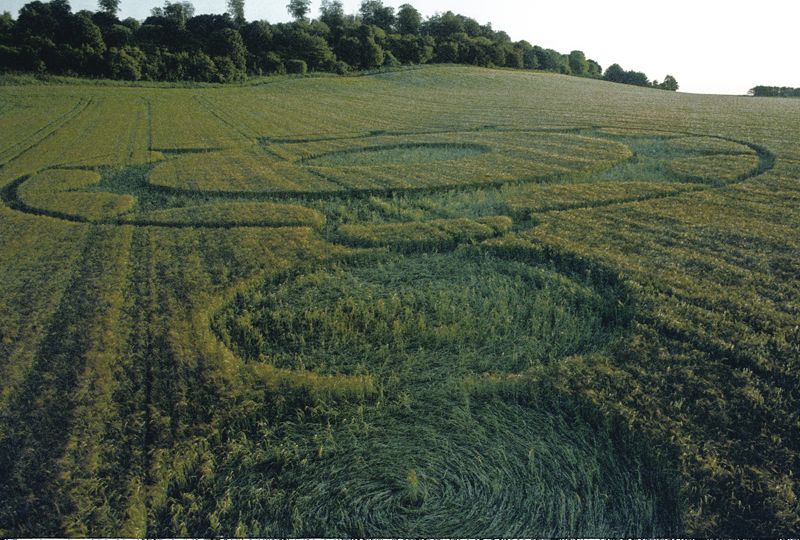 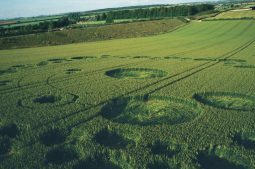 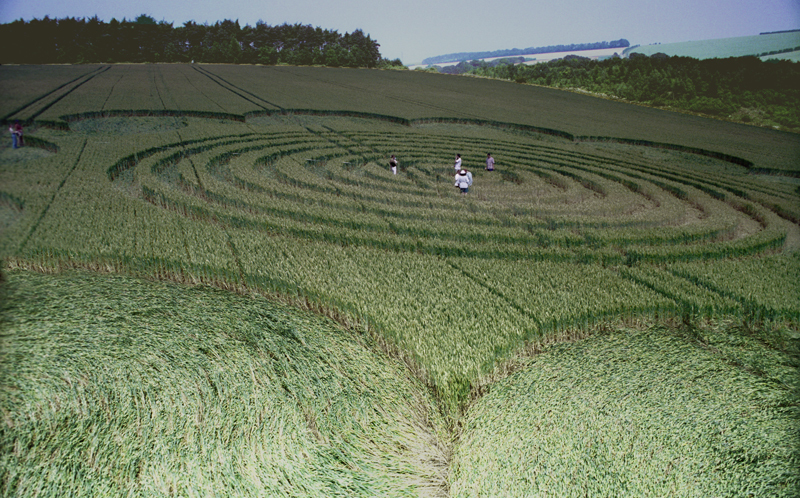 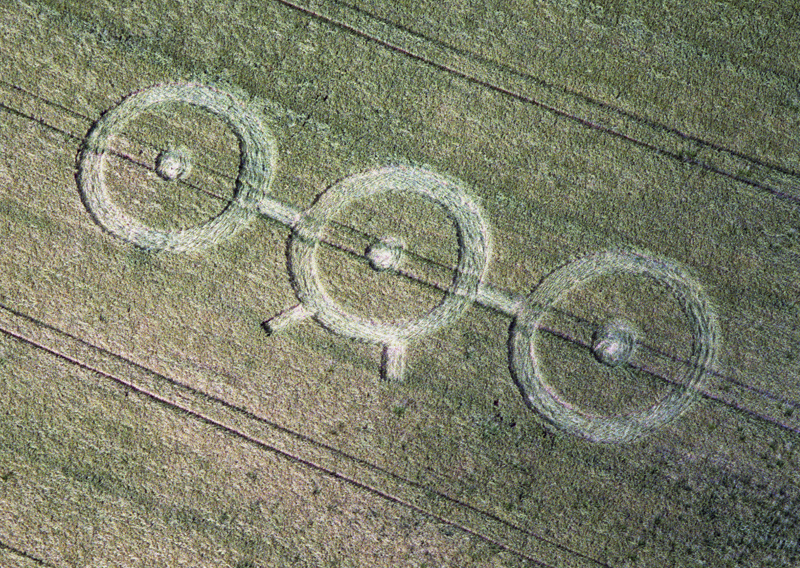 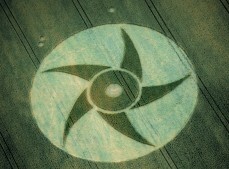 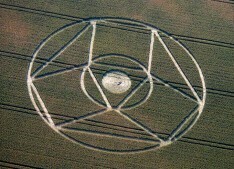 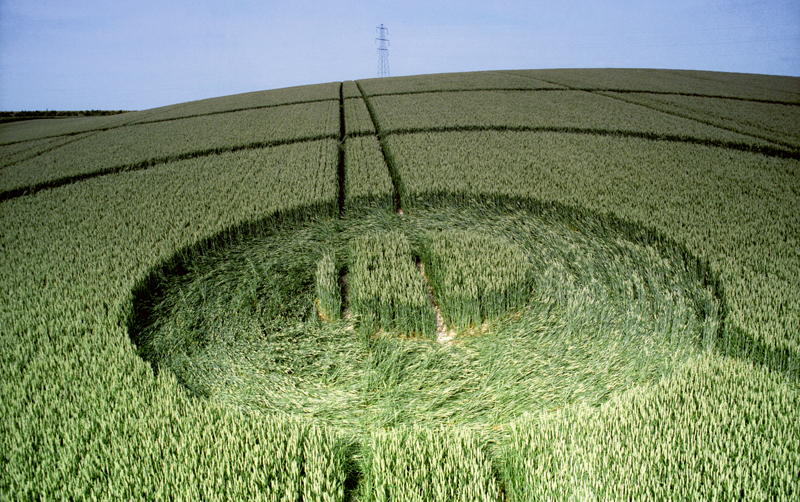 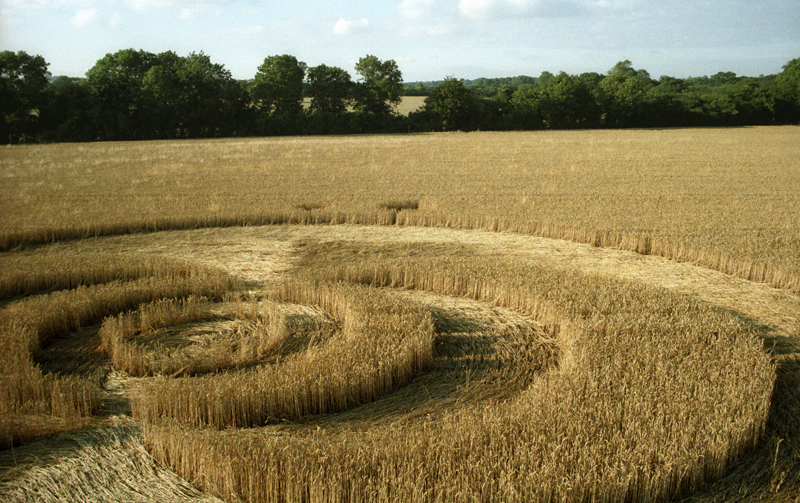 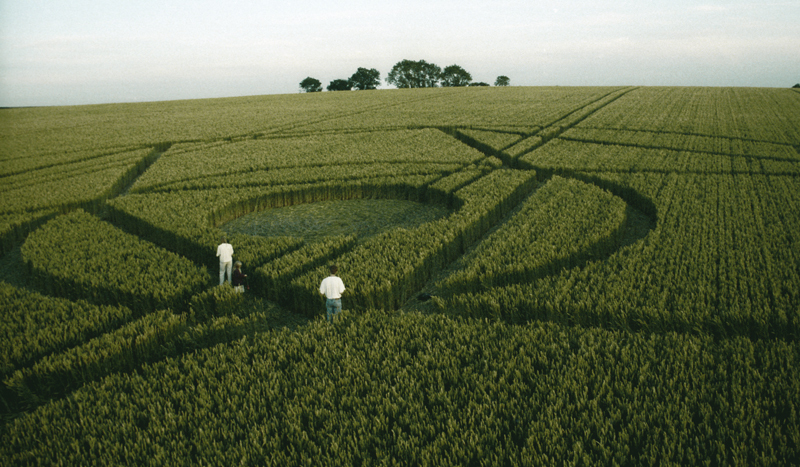 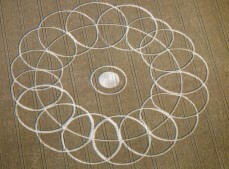 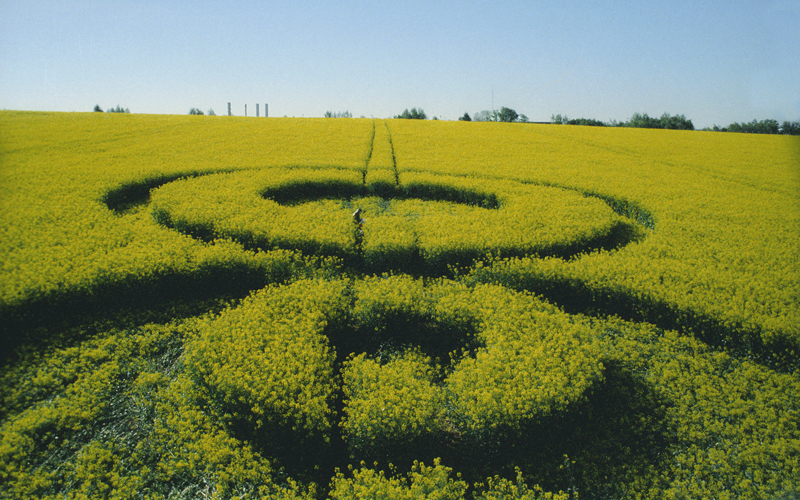 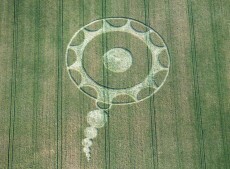 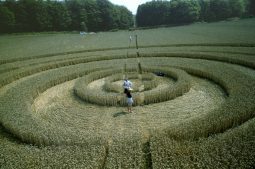 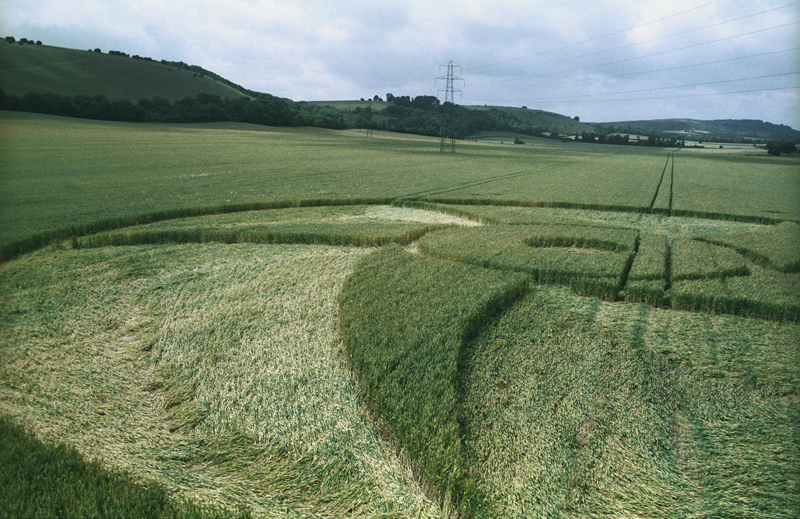 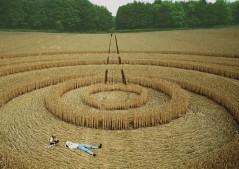 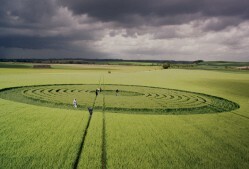 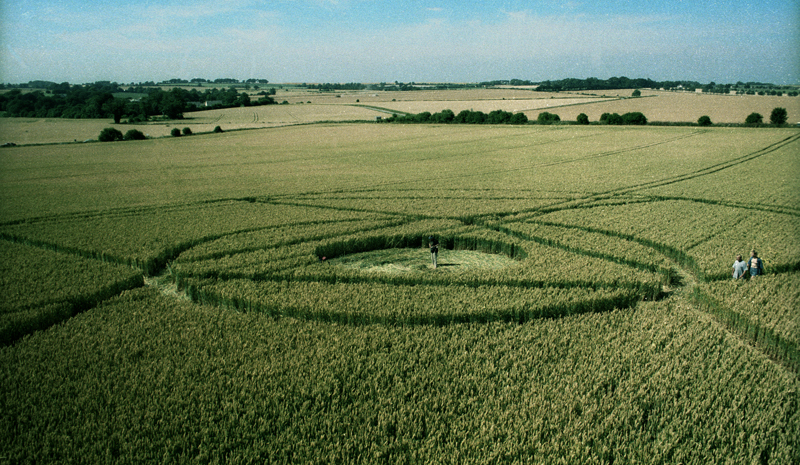 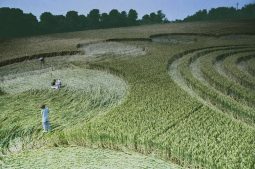 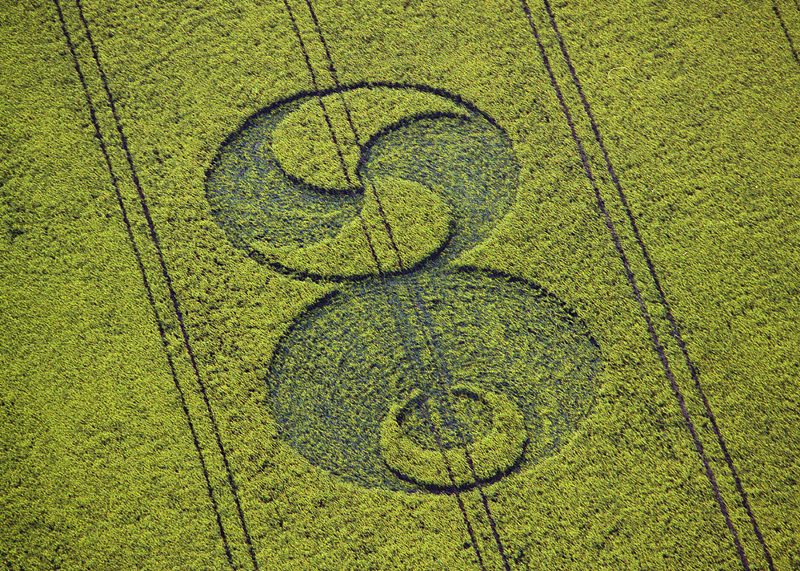 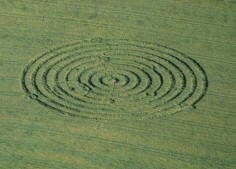 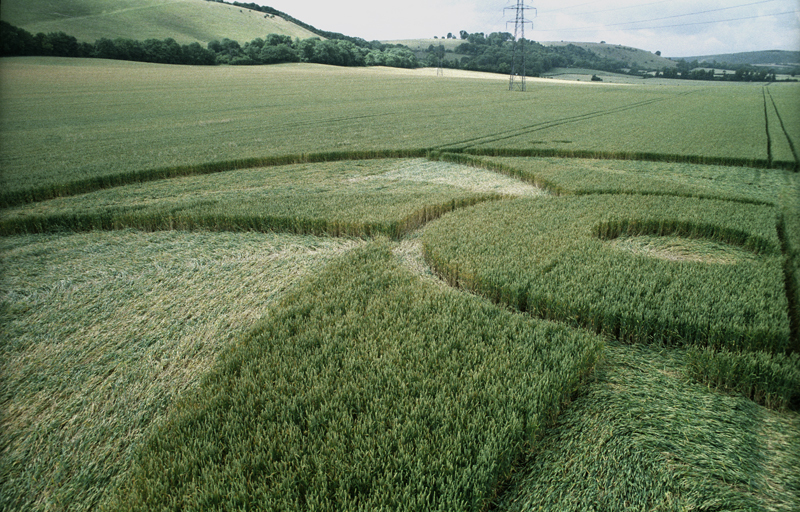 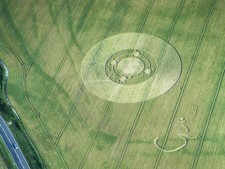 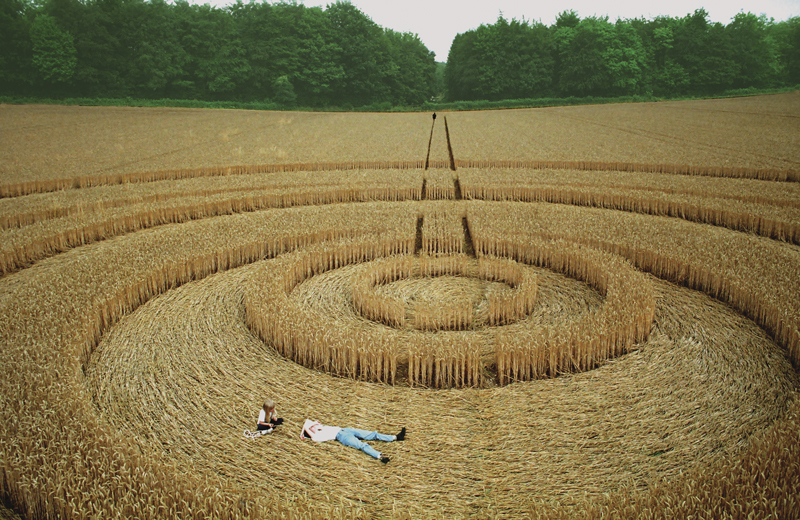 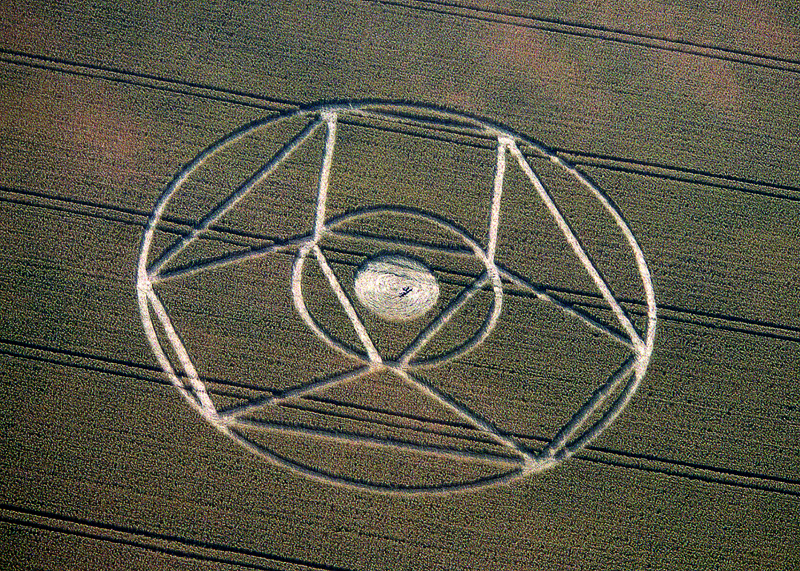 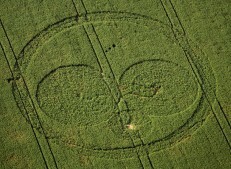 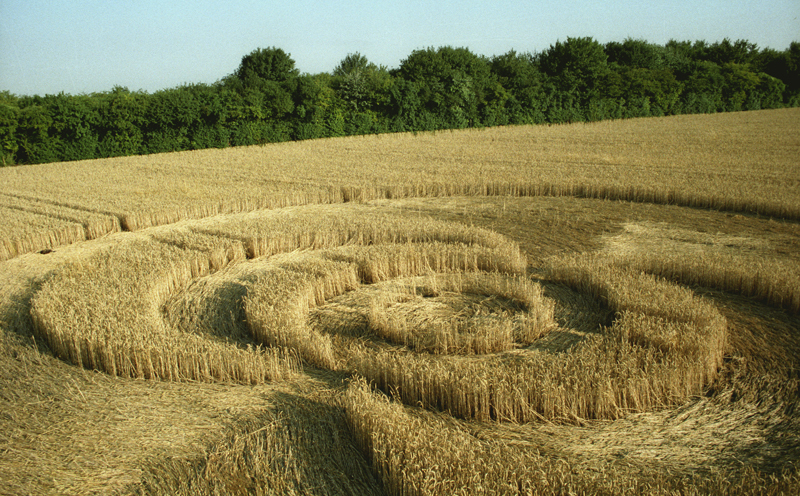 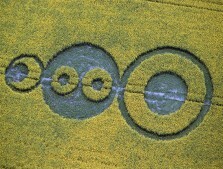 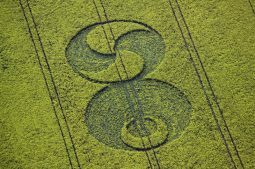 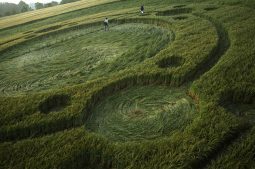 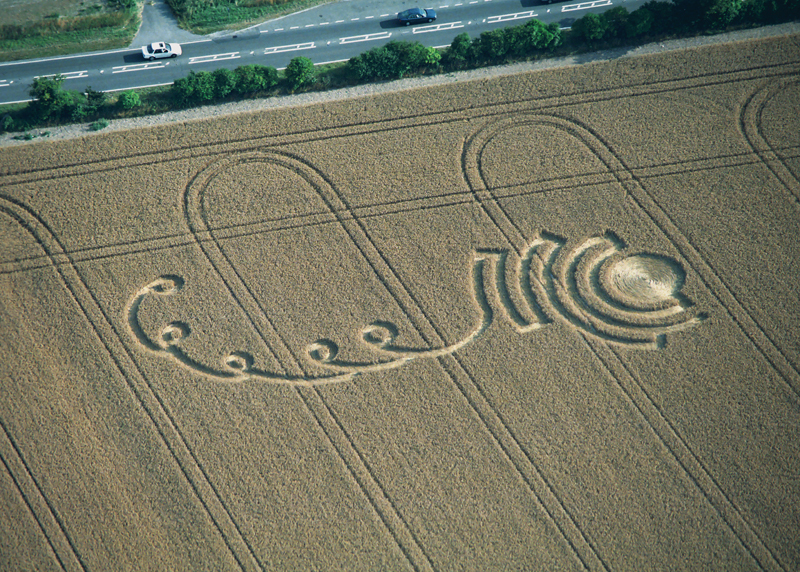 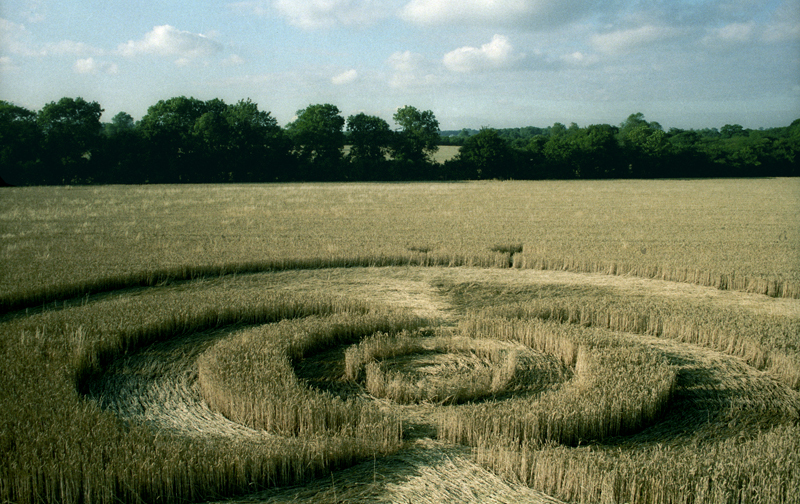 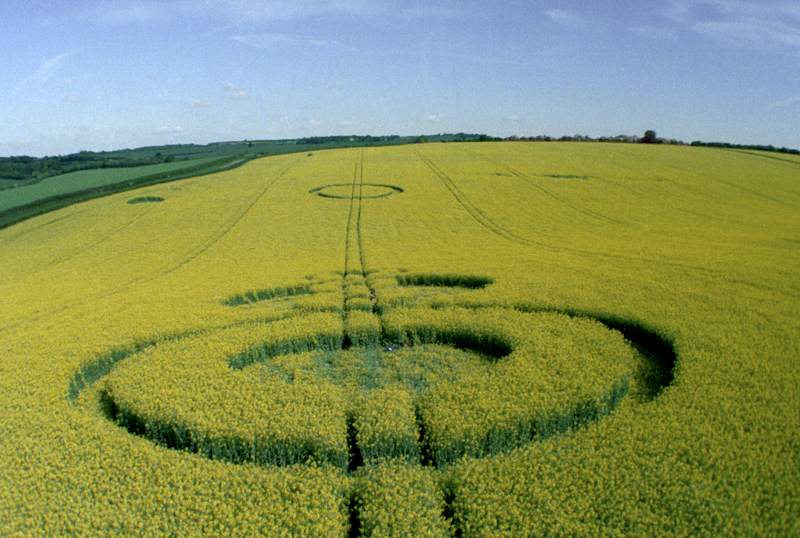 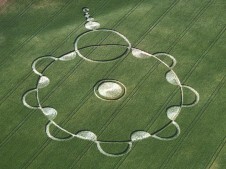 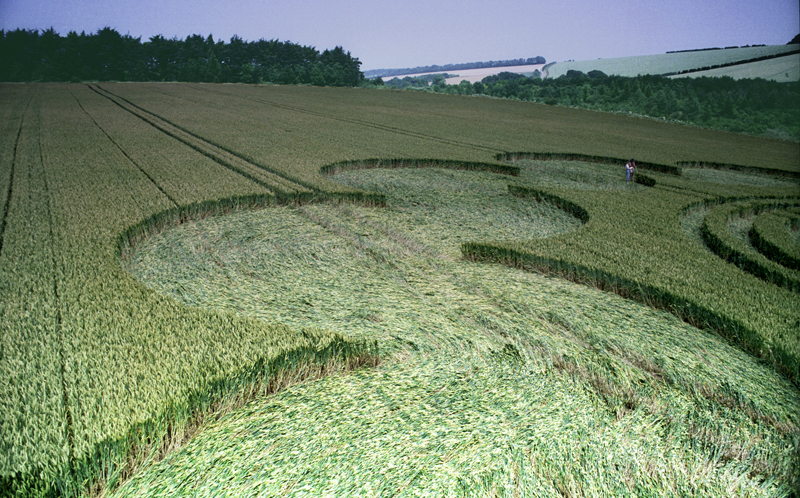 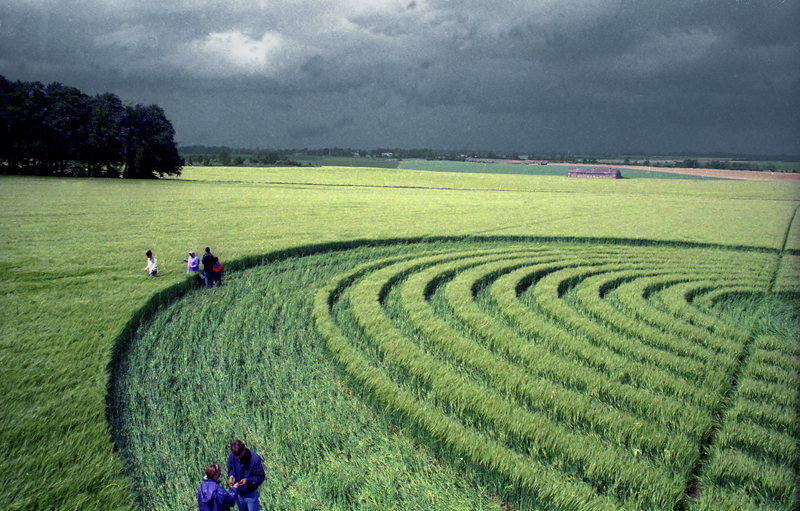 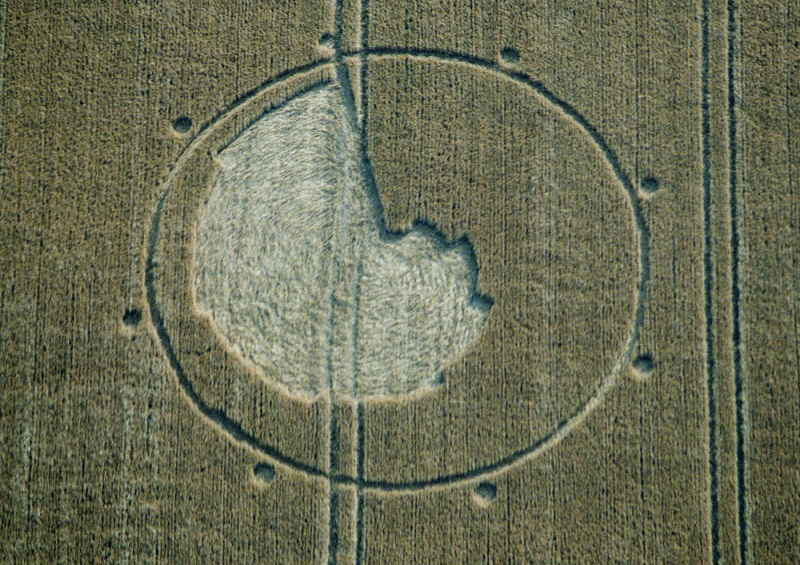 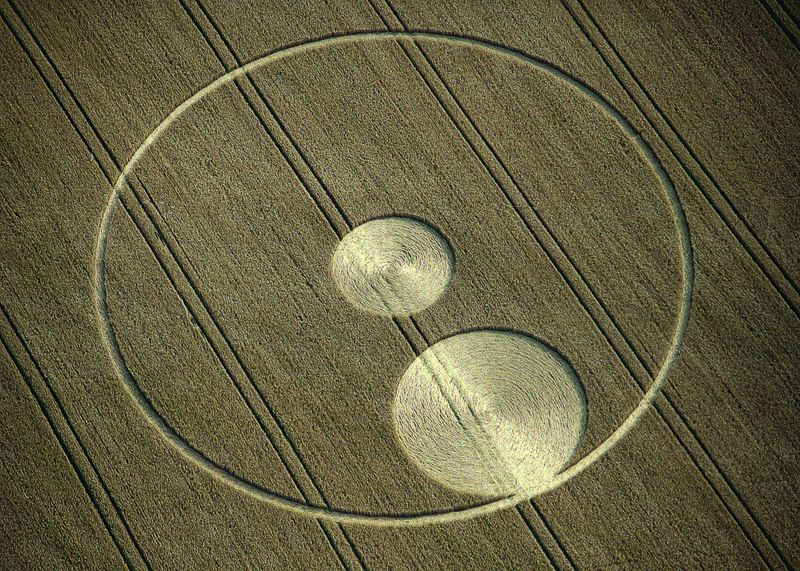 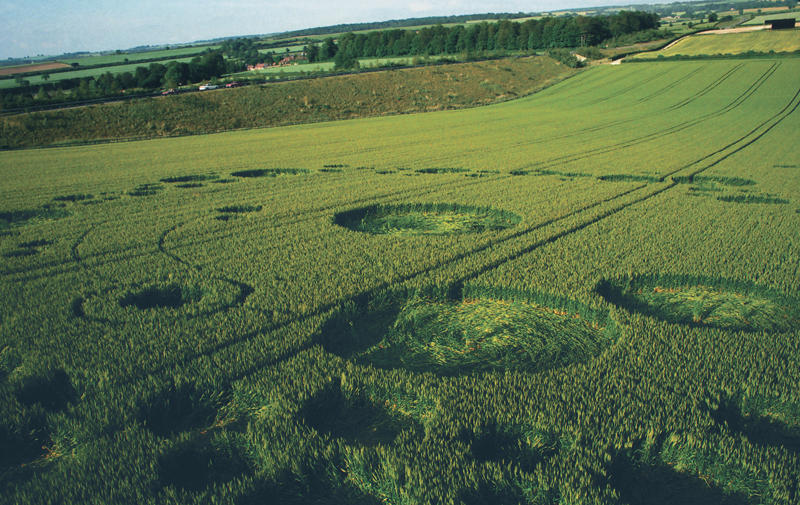 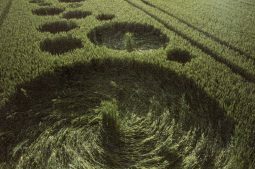 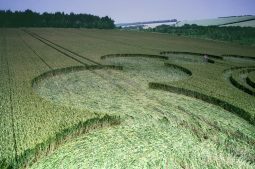 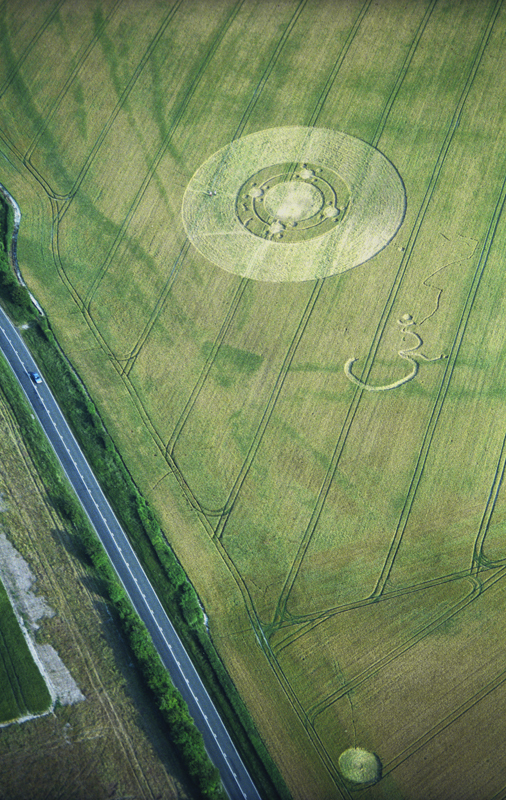 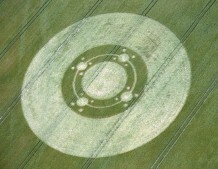 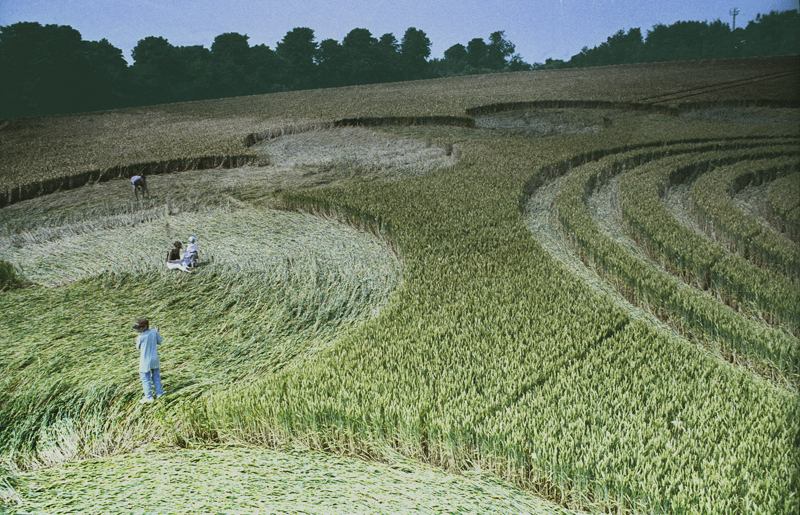 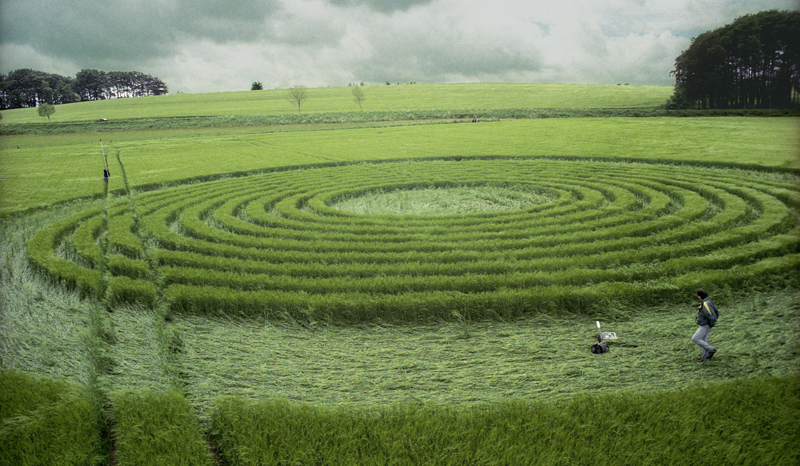 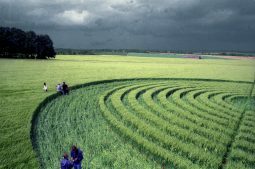 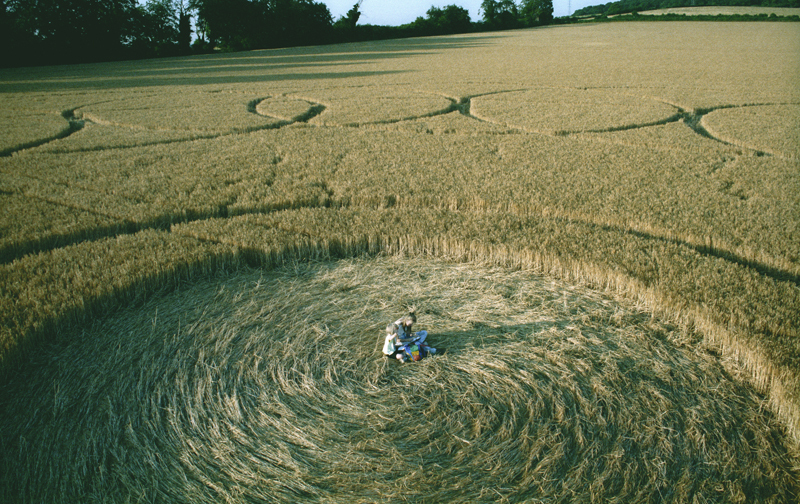 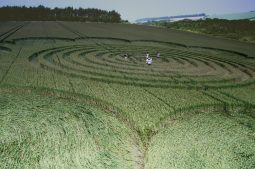 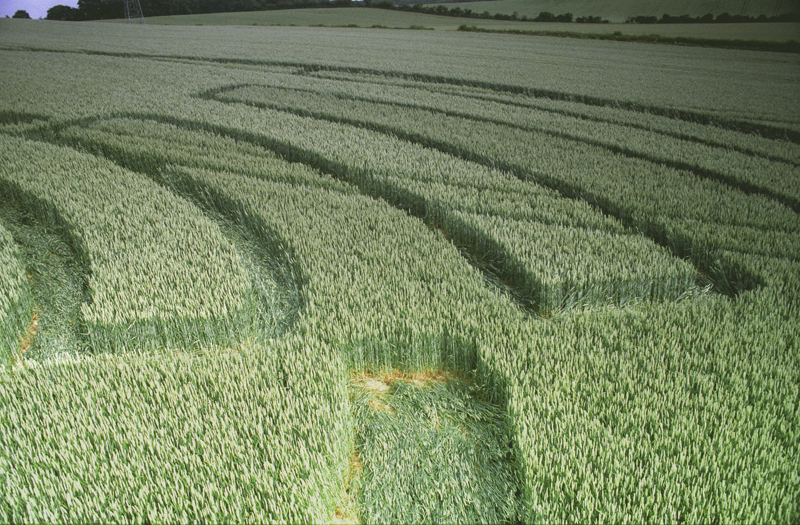 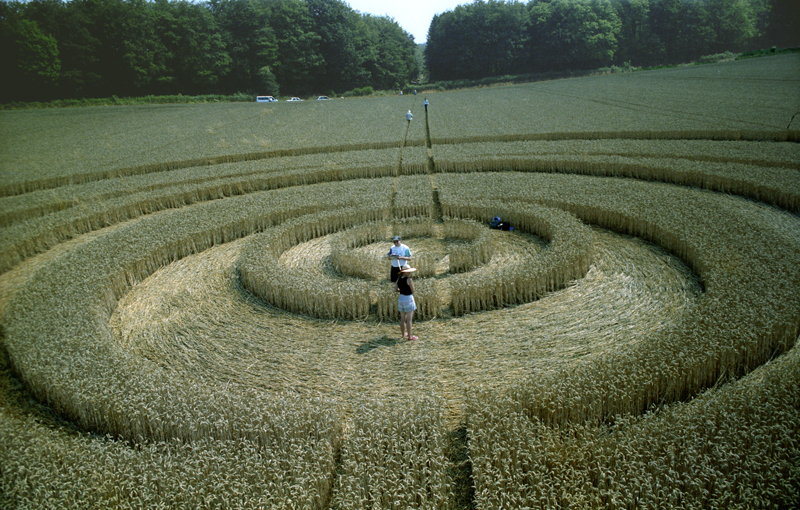 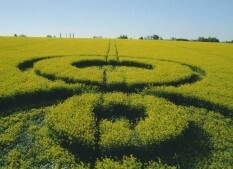 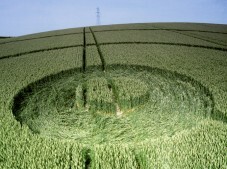 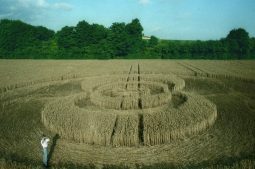 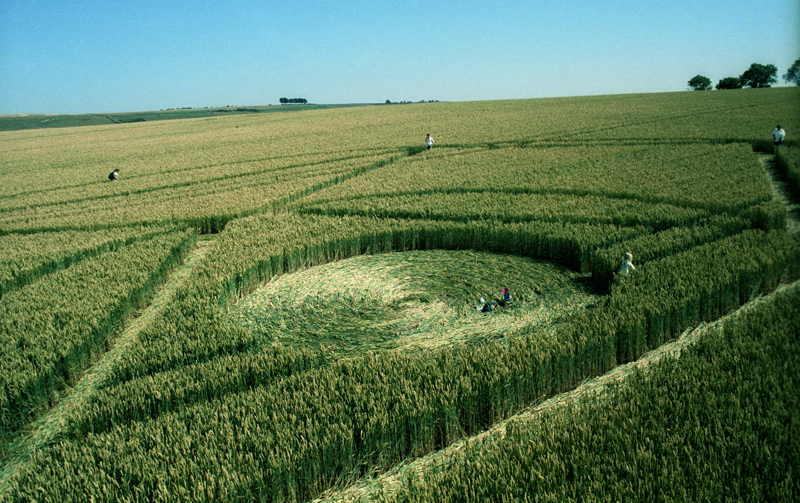 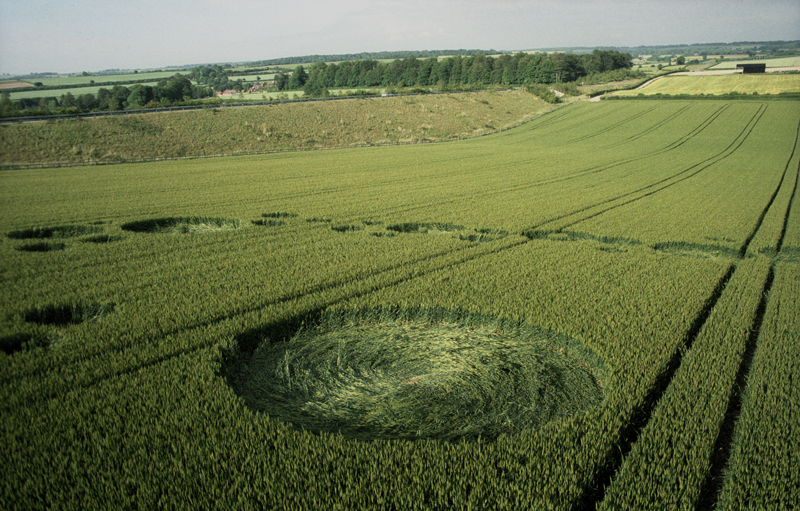 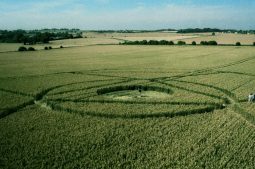 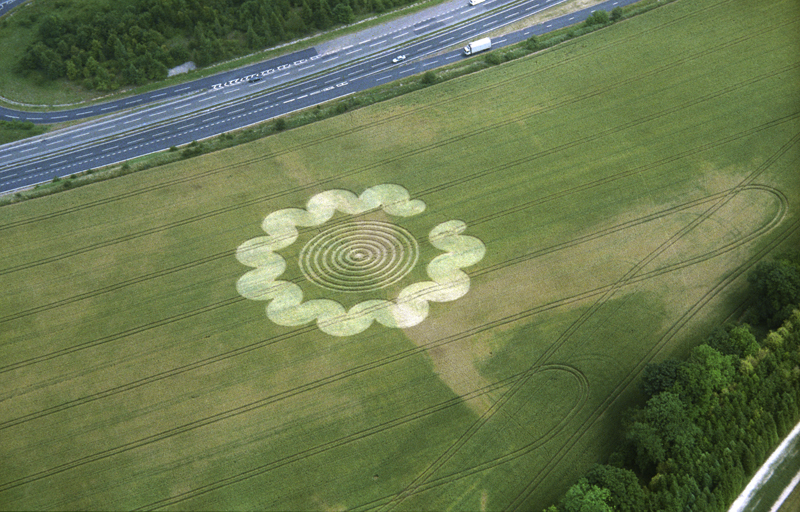 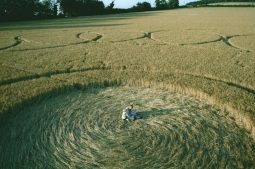 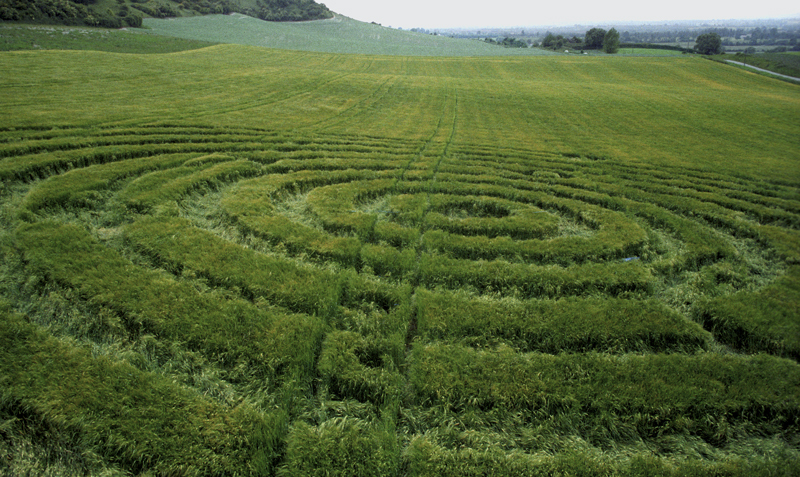 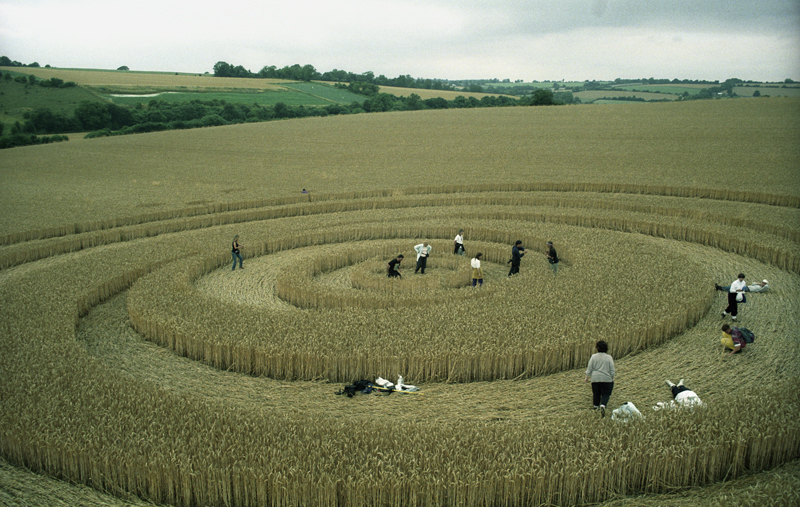 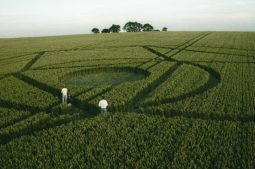 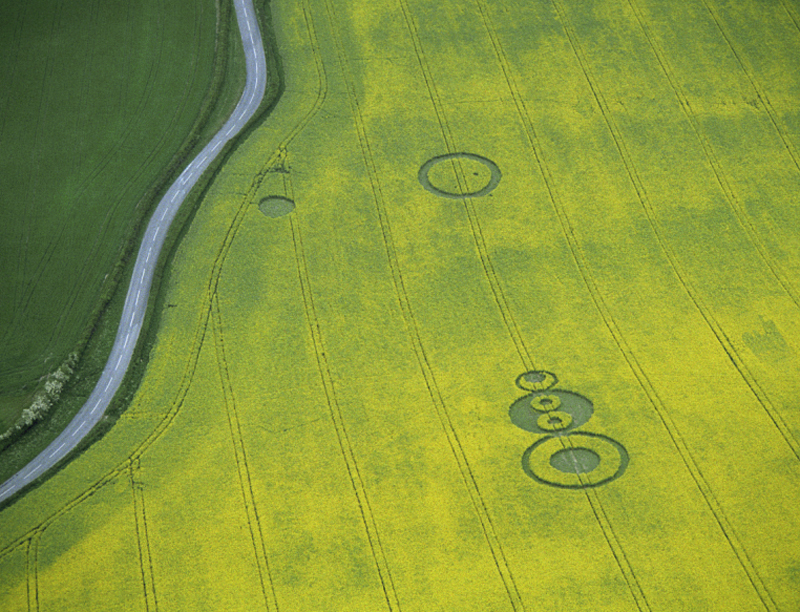 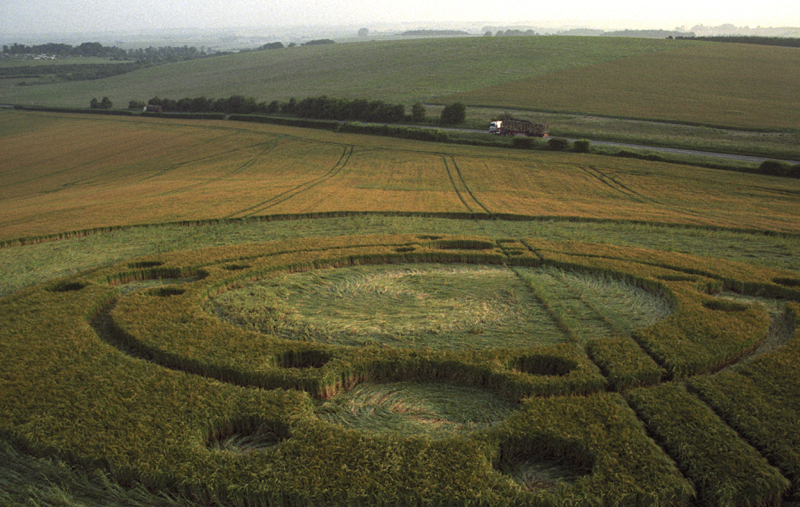 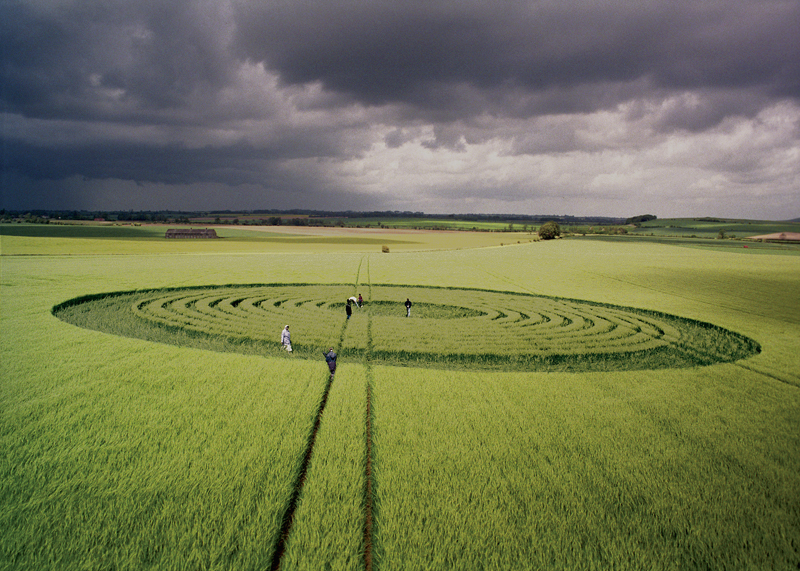 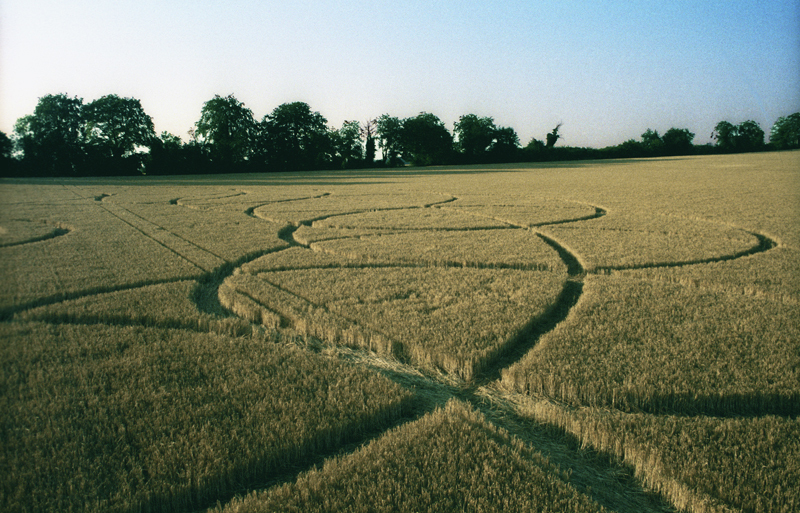 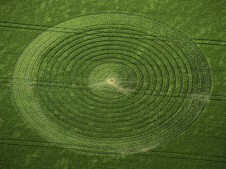 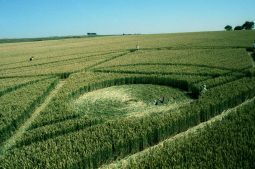 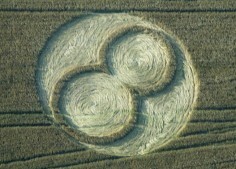 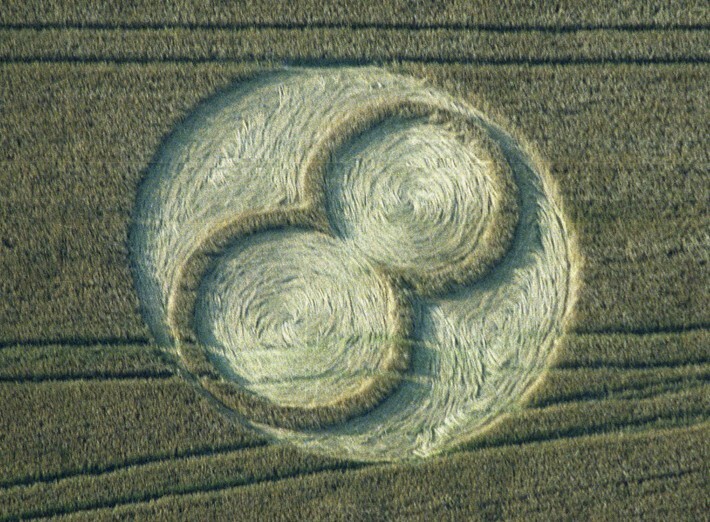 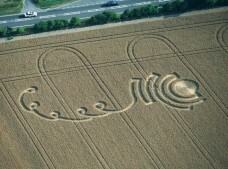 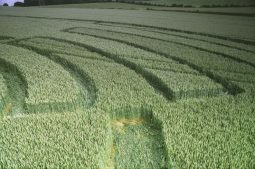 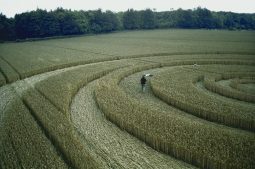 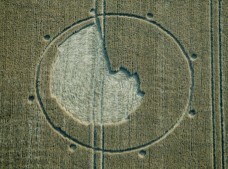 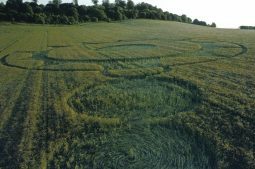 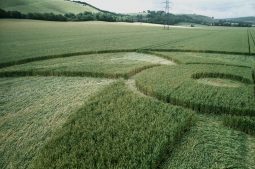 1995 was the first year we started to regularly fly over the crop circles throughout an entire season. 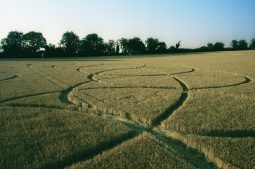 This gallery contains an assortment of both aerial pictures, ground pictures and images taken by mounting the camera on a 20ft pole. 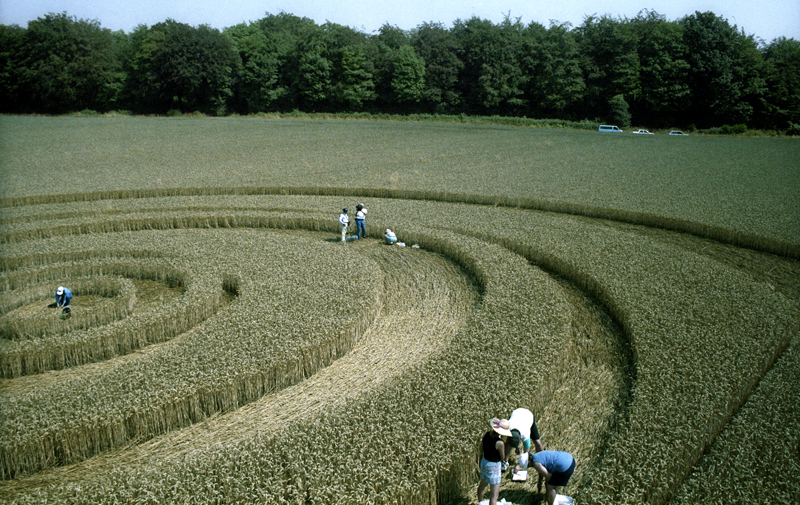 For this new website we have gone back through our archived images, and painstakingly scanned and cleaned up many of our them to share with you for the first time – we hope you enjoy them! 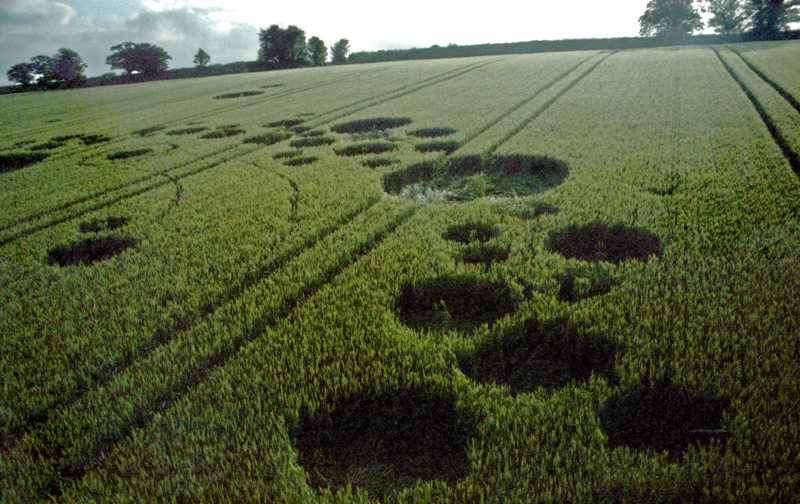 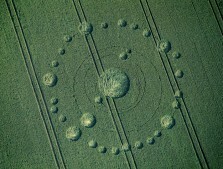 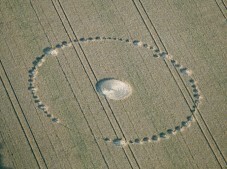 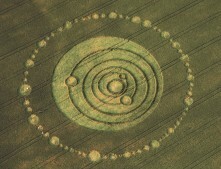 1995 was unusual in the fact that many of the major circles appeared in the county of Hampshire rather than Wiltshire. 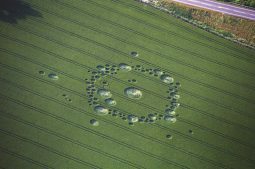 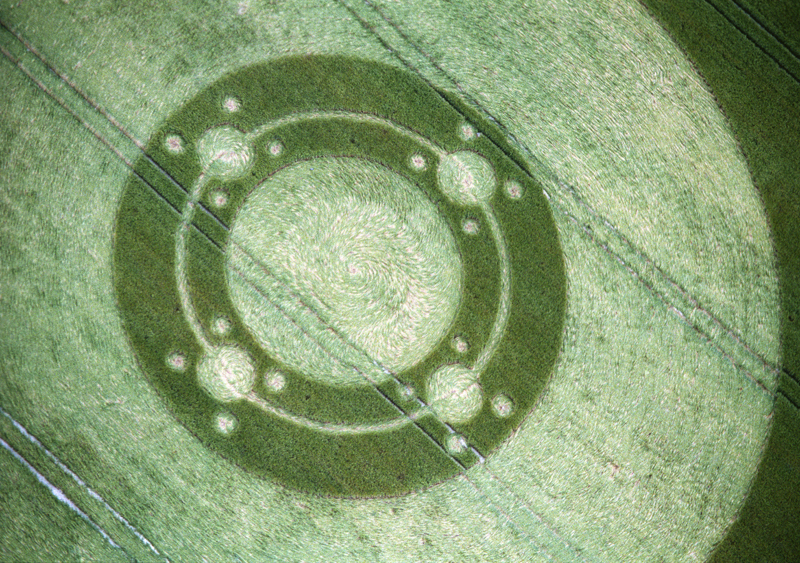 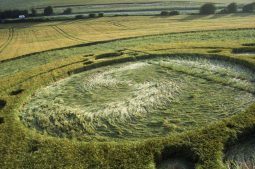 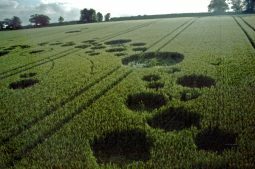 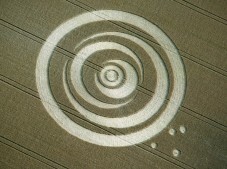 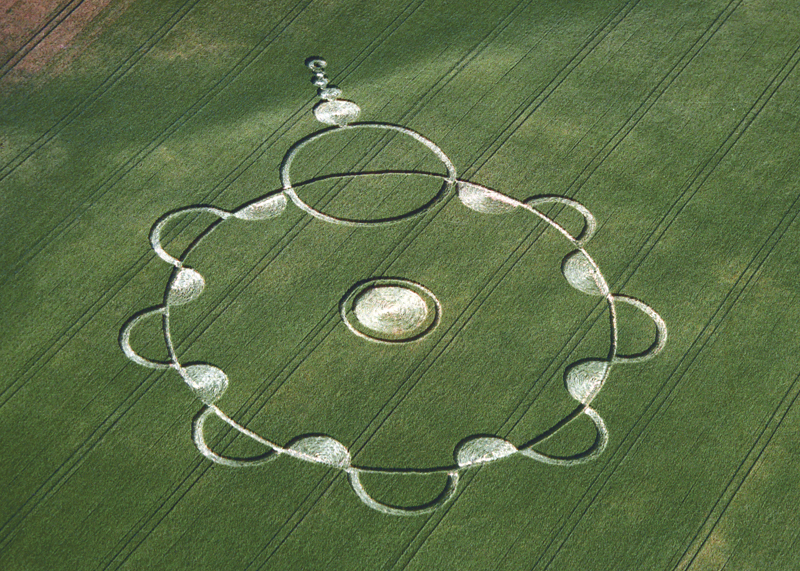 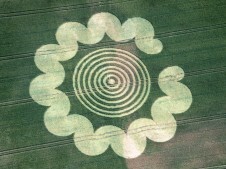 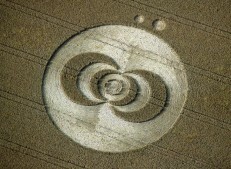 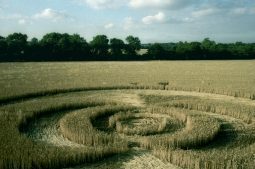 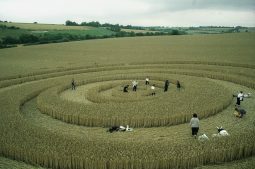 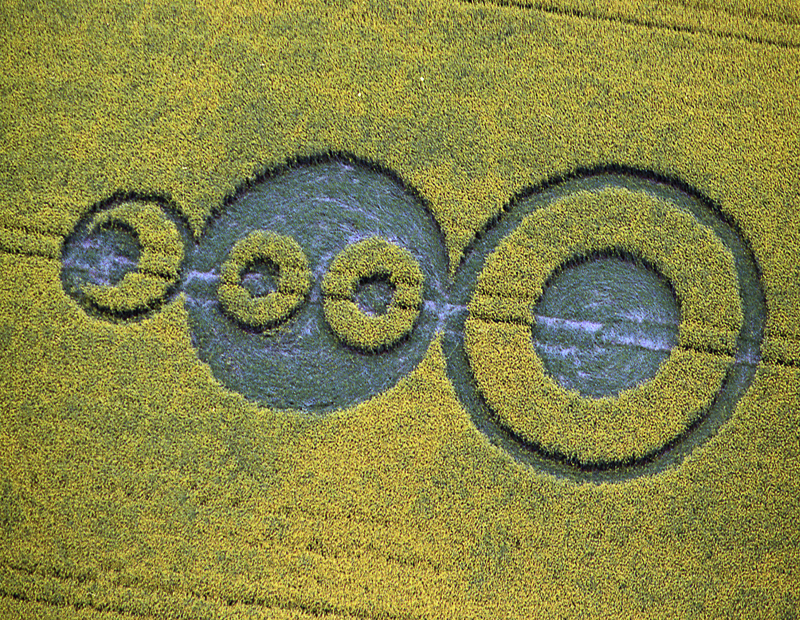 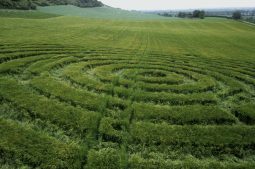 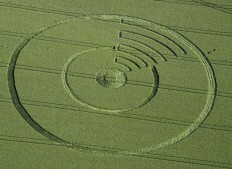 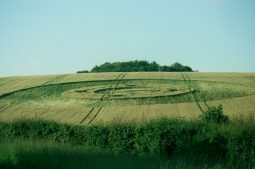 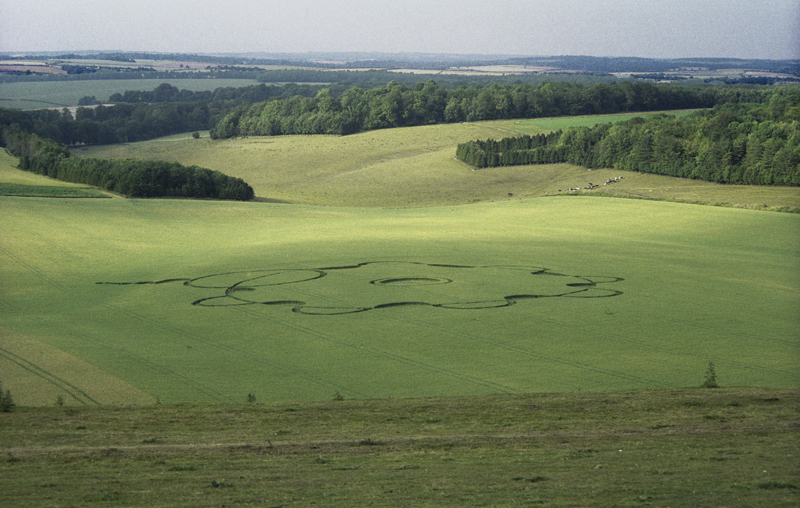 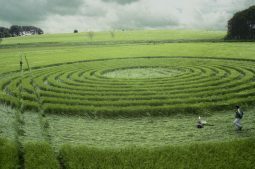 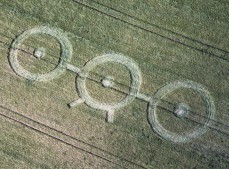 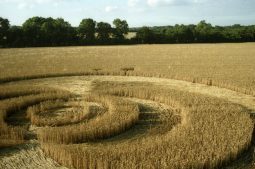 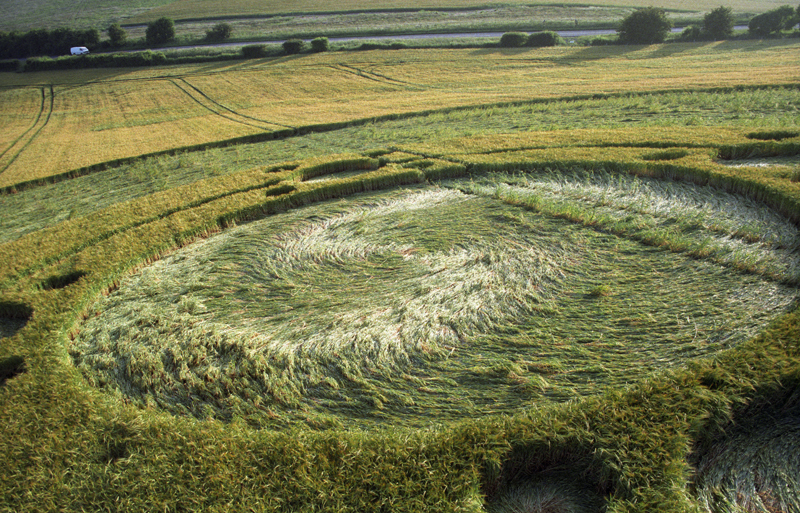 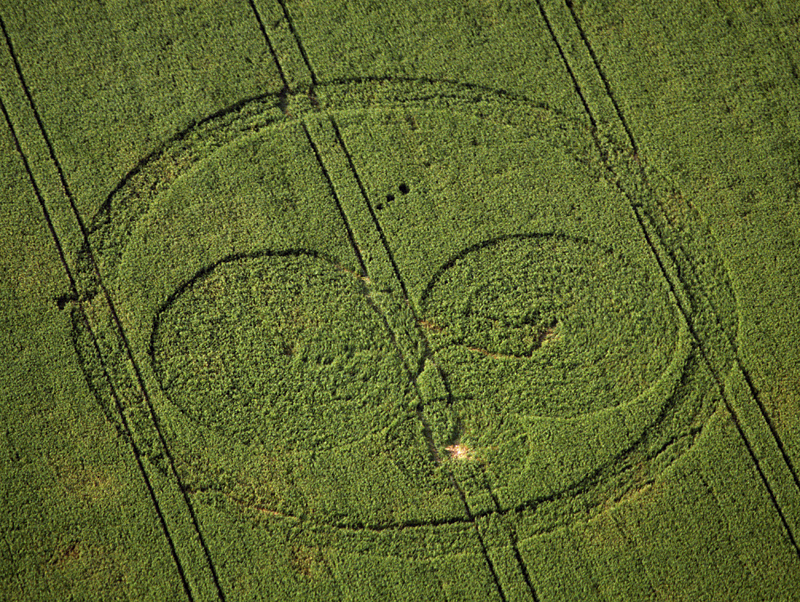 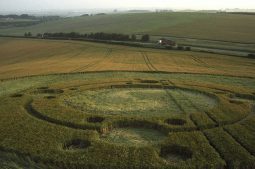 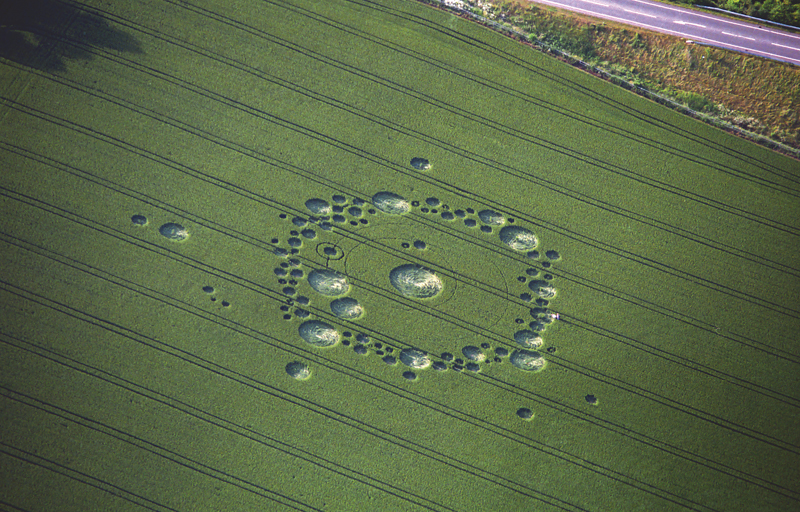 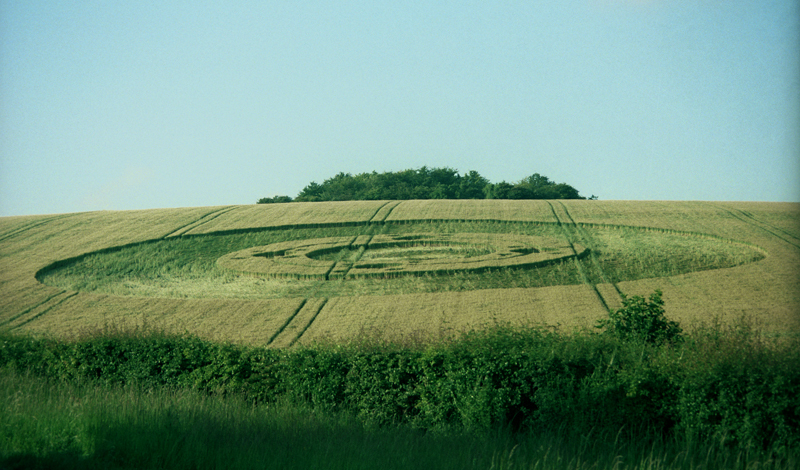 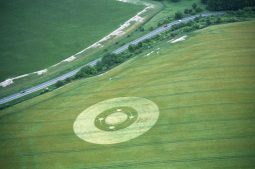 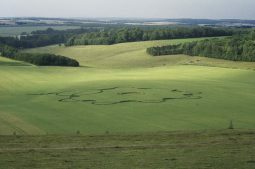 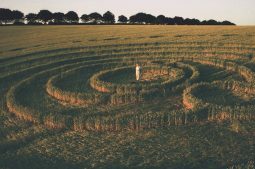 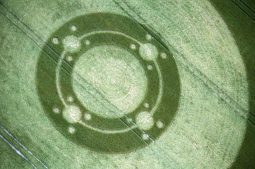 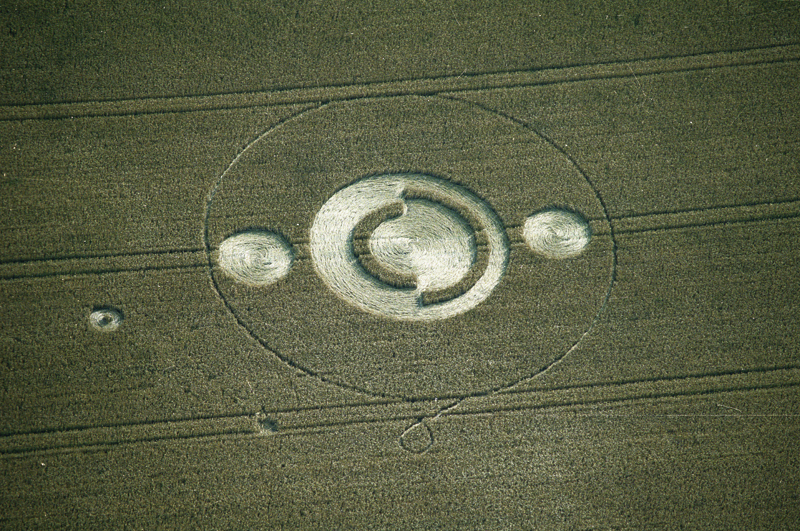 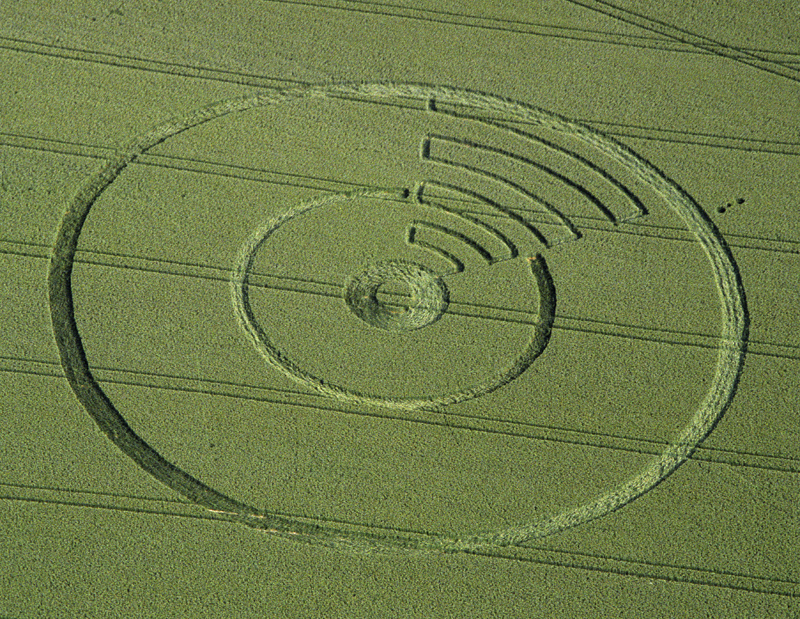 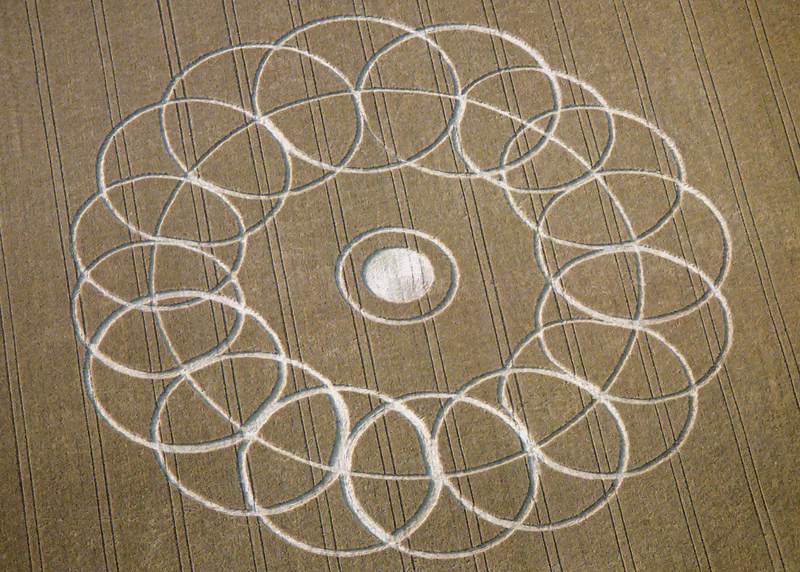 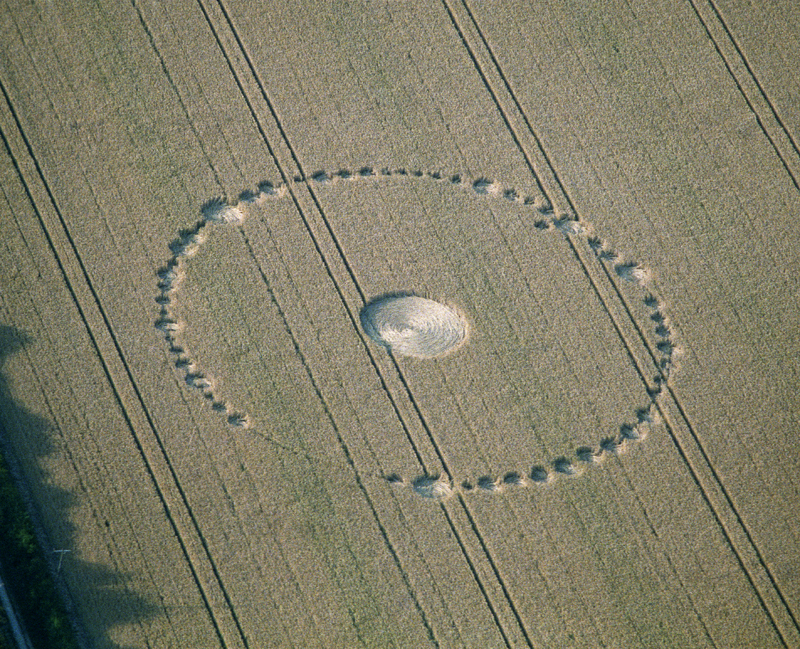 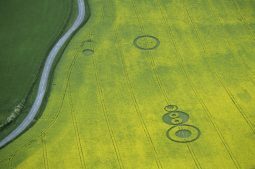 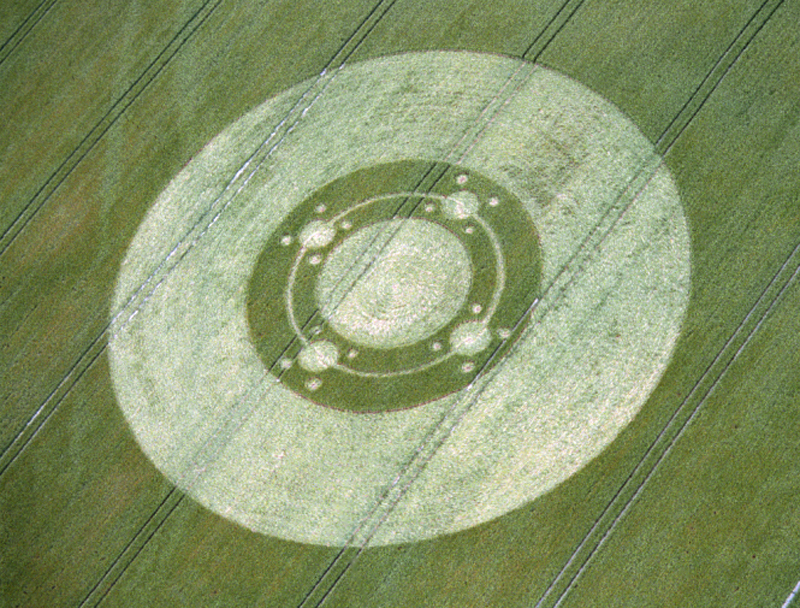 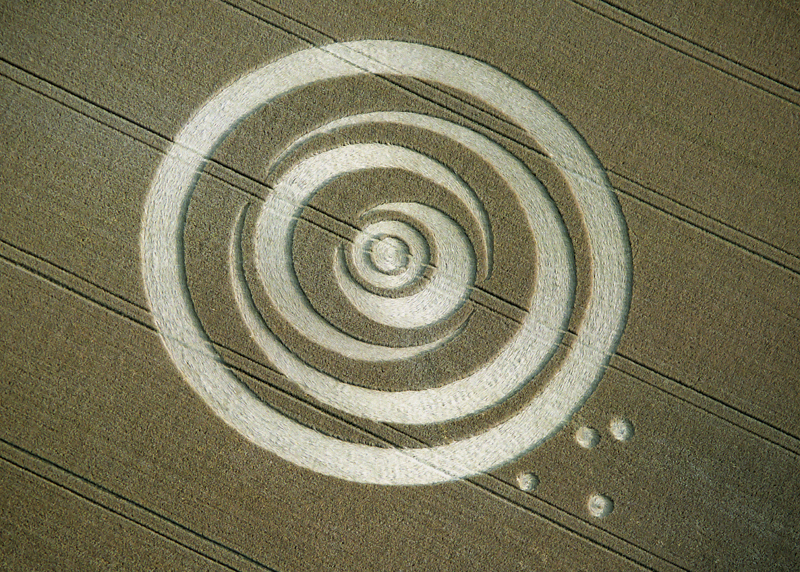 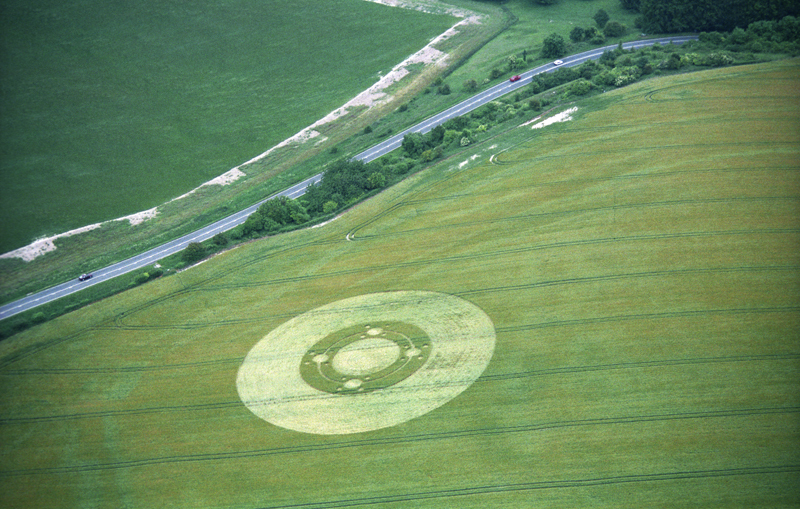 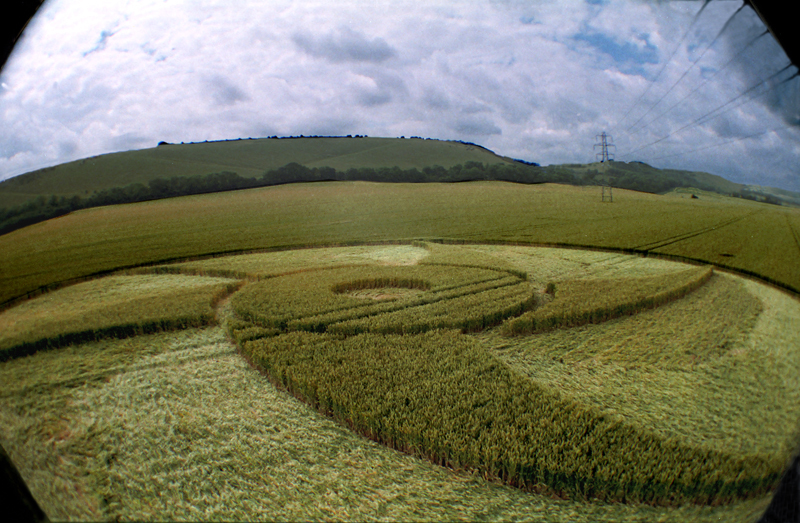 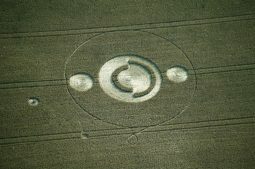 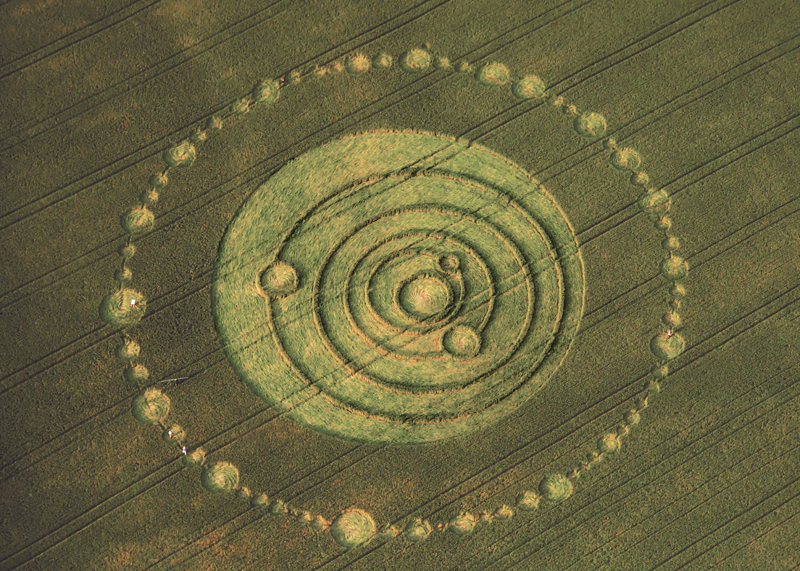 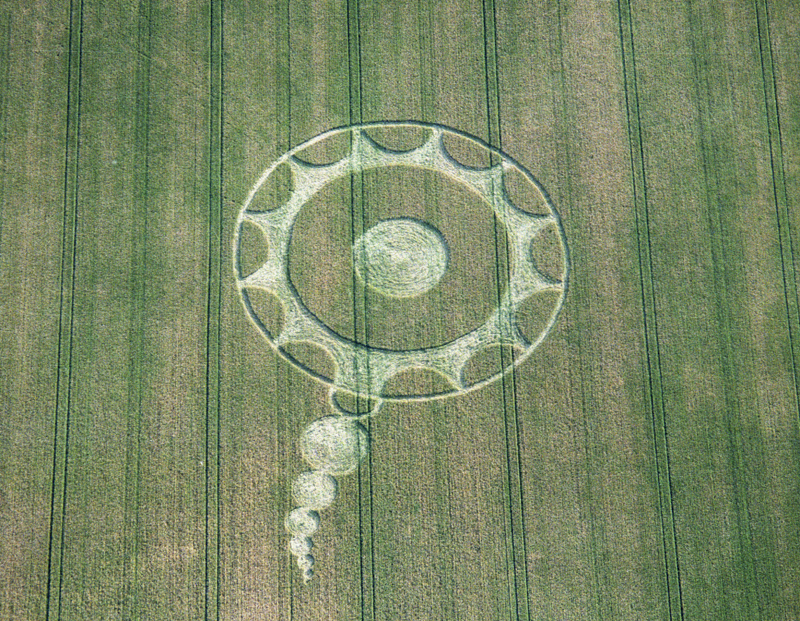 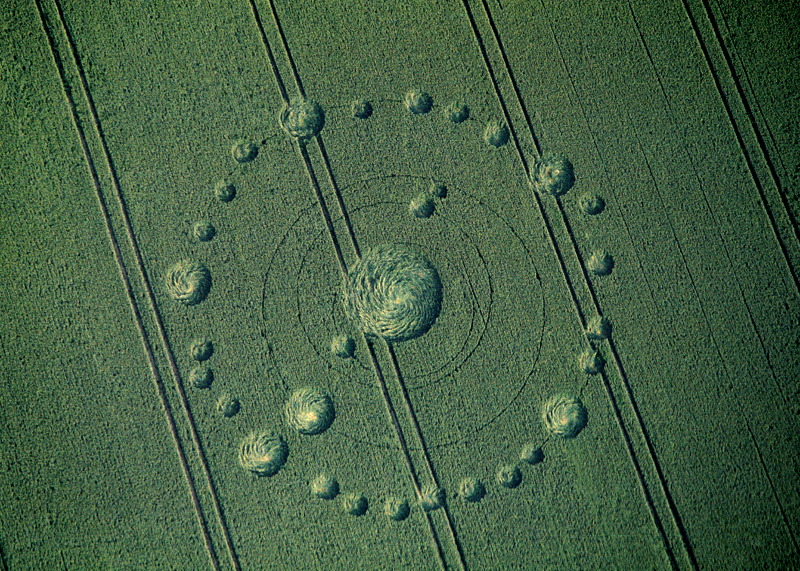 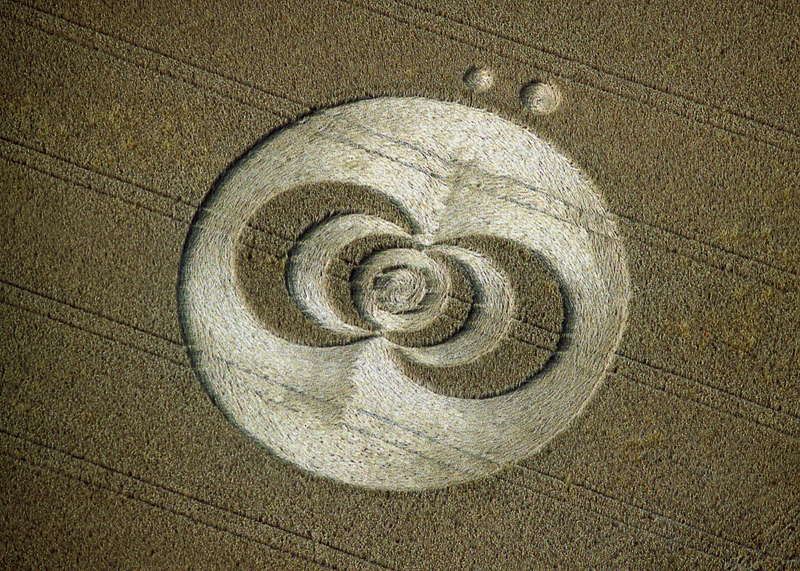 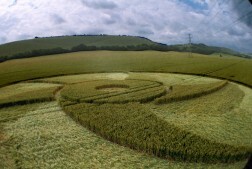 Circles of note include the ‘Beckhampton Spiral’, the East Meon ‘Crescents’ and the spectacular so called ‘Earth is Missing’ formation at Longwood Warren.